James Thomas Jones Jr., 55, of Kingwood, WV, died on Thursday, January 31, 2019, at Mon General Hospital. James was born December 19, 1963, in Kingwood, a son of Wilma Jean (Eagle) Jones of Kingwood and the late James Thomas Jones Sr. He attended the West Virginia Schools of the Deaf and Blind in Romney. 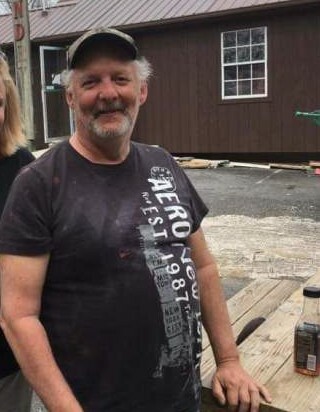 He loved hunting, fishing, camping, walking and watching the Steelers and West Virginia games. He enjoyed being with his family. James was a loving son, brother and friend. In addition to his mother, he is survived by his son, Jordan Jones of Petersburg; one daughter, Ashley Jones of Bedford, PA; three step-daughters, Kimberly Higgins of Murrysville, PA, Tonya Schnopp of Bedford, PA and April Gill of Parsons; two brothers, Patrick Jones and spouse Kristin of Inwood, Michael Jones of Hedgesville; three sisters, Linda Johnson of Kingwood, Lisa Jones of Tunnelton and Valerie Jones of Kingwood; two grandchildren, Elizabeth Jones and Gabriella Lantz, both of Bedford, PA; 4 step grandchildren, Dakota and Bradley Newlon Jr. of Parsons, Alexis Lipscomb of Cumberland, MD, Madison Bowers of Berkley Springs; 13 nieces and nephews and 10 great-nieces and nephews. In addition to his father, he was preceded in death by his paternal grandparents, George and Ethelyn (Boring) Jones; his maternal grandparents, Earl and Lula (Eagle) Speelman; one grandchild, John Bowers IV; a niece Emily Jones and a great-niece Grace Nestor. Friends will be received on Friday, February 8, 2019 from 1:00 pm to 3:00 pm the time of the memorial service in the Rotruck-Lobb Kingwood Chapel. Cremation services are under the direction of Rotruck-Lobb Kingwood Chapel and Rotruck-Lobb Crematory.